Custom designed branding assets from the ground up, including company logo, brand color scheme, responsive WordPress website, and business stationery. Implemented reputation management system for ongoing positive feedback from customers and improved brand visibility online. Executed split-test lead generation efforts on Facebook marketing campaigns, yielding targeted market penetration in a highly competitive industry. Achieved top-10 rank on Google for niche keywords in local search results within a 3-month timeline. Facilitated sustainability plan built on industry best-practices for long-term organic growth on search engines as well as social media campaigns. 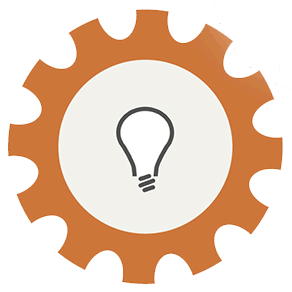 Our first project with ReSquared revolved around designing their company logo. With a clear vision on what the client wanted, our team provided concept panels back-to-back to showcase the different design options available. The ReSquared team communicated that they were trying to breakthrough on a market that was already heavily saturated with competition, and that their brand designs needed to be different in a few unique ways. Through a highly collaborative creative process with our design team, we were all able to happily agree on a final logotype that was modern, unique and professional. A polished logo concept meant that ReSquared could officially start marketing their services in-person and online. In the beginning stages of every new business, viral marketing offers a cheap and effective means to raise awareness about your services. Every successful business, from restaurant chains to tech companies, all started by hitting the pavement on their block or by handing out business cards at events. ReSquared was no different, and especially in a city like Las Vegas- networking is everything. There are major events all the time and half the battle is just showing up, because chances are there are people already looking for you! 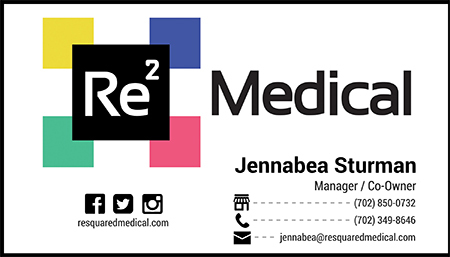 Business Card Design for ReSquared Medical. Our team emphasized that a smart print design strategy would offer relatively low overhead for high yield, allowing the businesses to produce marketing assets that can attract new customers and later be repurposed as necessary. We started with designing a master template that could be applied to all of ReSquared's marketing collateral. By designing one template that could appeal to all of ReSquared's audiences at once, we could then replicate this template to any marketing medium deemed necessary. 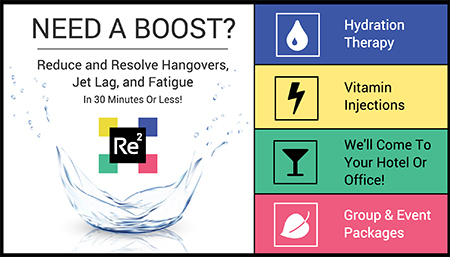 5x7 Flyer Design for ReSquared Medical. Aside from the obvious benefits of saving time and labor costs, this design strategy offered a number of other benefits to the business. By leveraging one master design template, the business could a) quickly reproduce stationery as needed, b) repurpose existing stationery for other marketing mediums, and c) provide a unified aesthetical experience to prospects who come in contact with the business. Our team then applied the base template design from the business cards to all of ReSquared's marketing collateral, from the 5x7 design, to half page ads, and even the WordPress website. 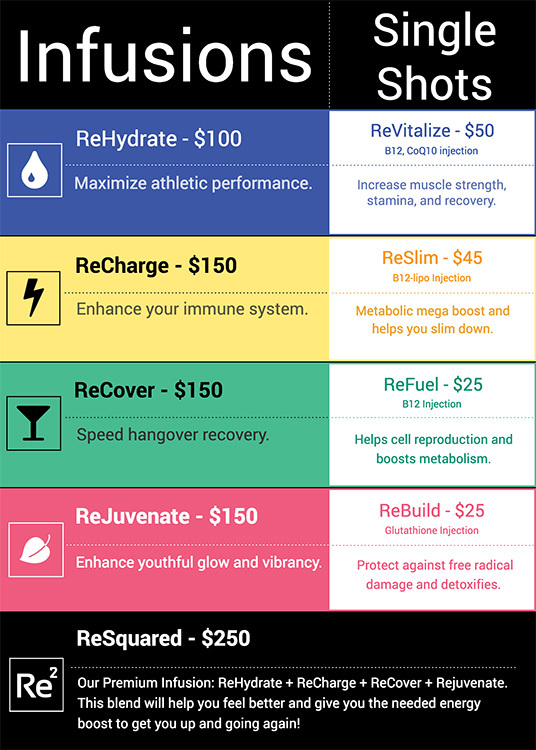 The big picture goals for resquaredmedical.com were to amplify and further express the brand's style guide and the values hinted in the stationery designs. After a prospect made their first connection with the brand (via business card, flyer, etc. ), the website would then further reinforce these elements to the customer, and drive them to take action around ReSquared's products. In our strategy calls, the ReSquared team expressed to us how important it was for the website to showcase professionalism, trust, and medical authority to their customers. 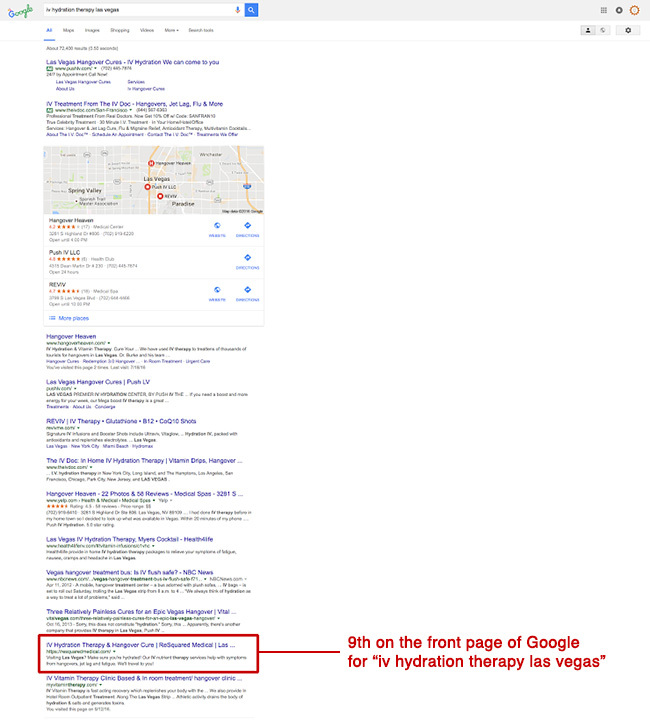 They believed that, despite the market saturation that already existed in Las Vegas around IV therapy, these values were missing in this developing industry's environment, and were also necessary to ensure the brand's success. 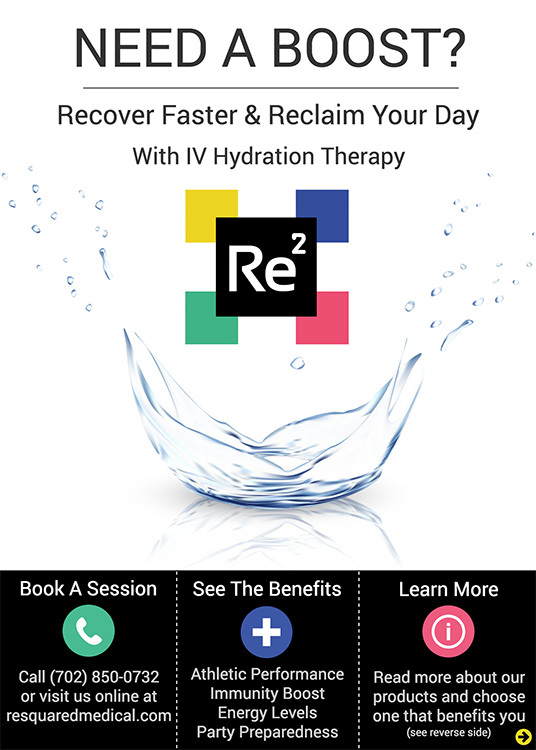 Our design team, then, focused on creating a website that expressed a new and unique experience to customers seeking IV therapy. Using a premium multifunctional WordPress theme, our team applied a custom-styled overlay which contained branded graphics and written copy from the ReSquared team. Some features that most notably showcase this custom overlay include the product portfolio and Mega Menu navigation- which include product, color, and icon combinations established by the brand's style guide. Aside the attractive appeal of the website's appearance and stellar performance across different platforms and devices, each page includes clear calls to actions inside an information hierarchy, driven to guide and inform customers about products they're interested in, along with persuading the customer to connect with the ReSquared team for an appointment. The last item in our contract with ReSquared was to execute a 3-month SEO project timeline with a "top-10 guarantee". 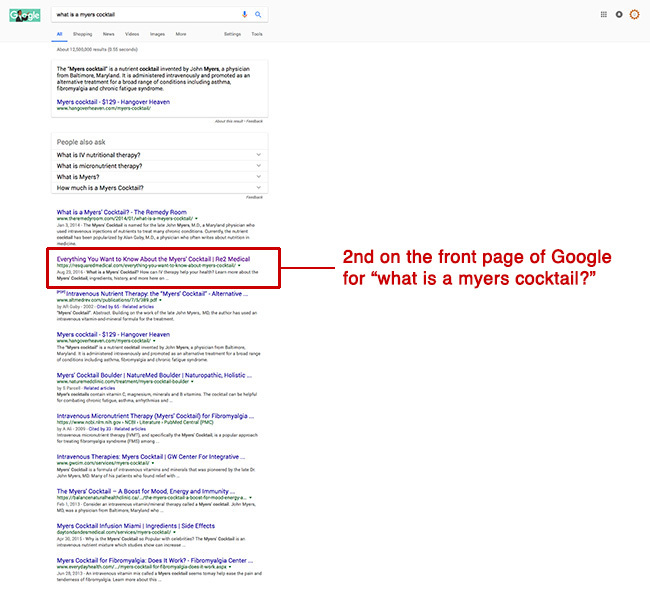 Given the short timeline, we concentrated much of our efforts on four focus areas: onsite SEO, data aggregation, reputation management, and backlink building. These focus areas were specifically chosen due to immediate impact and lasting results, and were possible to execute even with a limited marekting budget. With a monthly contract, Straub Creative Company was able to build ReSquared Medical a complete brand portfolio with logo, stationery, and brand style guide, a beautiful and modern WordPress website, and within 3 months of hire, achieve top-10 listings on Google Search. ...and get results just like these!